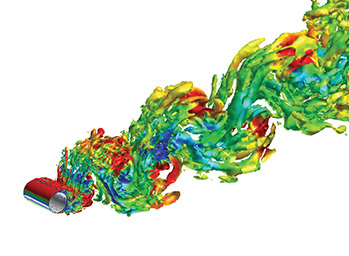 HyperWorks provides a full suite of CFD tools to help meet your end goal - fast and accurate simulations of your fluid flow and heat transfer systems. Cabin Comfort - Analyze Airflows and Thermal Effects In this 45-minute complimentary recording, you will get an overview of Altair’s CFD solution to simulate the airflow in the passenger compartment and include all relevant thermal effects such as convection, conduction and radiation heat transfer in the cabin. 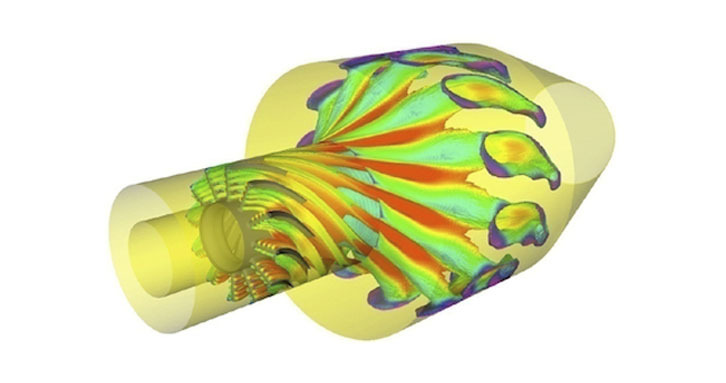 Whether you’re an analyst performing CFD modeling every day, or an engineer with a need to understand the effect a CFD analysis will have on a proposed design, HyperWorks offers a complete suite of tools for both the expert and novice users. From detailed component analysis to full systems performance, HyperWorks is your solution for problems ranging from 100,000 to 1,000,000,000 elements in size with parallel scalable solvers and robust pre and post processing software. 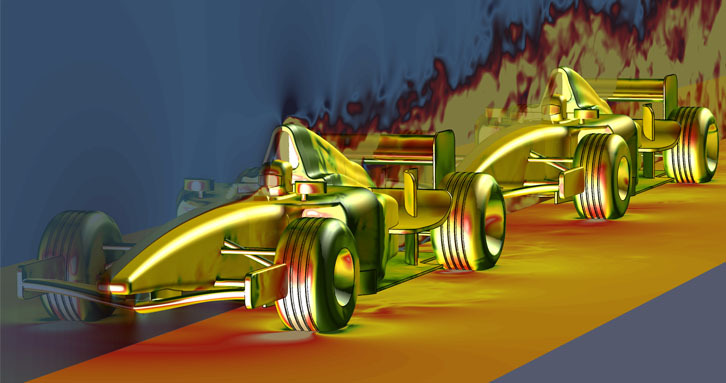 HyperWorks offers all tools necessary to perform a CFD analysis in an efficient manner. 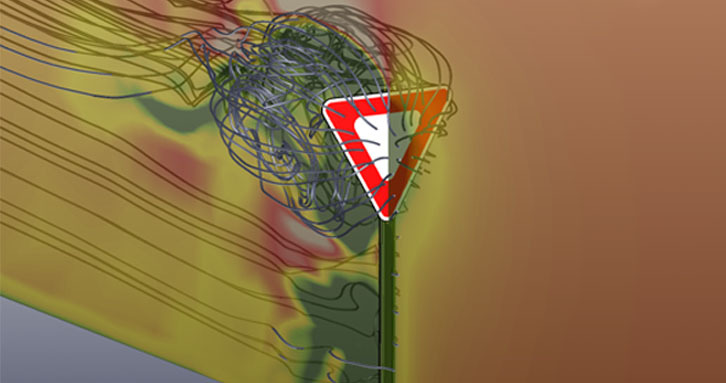 Altair offers three powerful solutions to meet your CFD meshing and modeling needs. AcuConsole™ was designed exclusively for interoperability with AcuSolve and provides a great solution for organizations with an analysis process that relies on watertight 3D-CAD models. 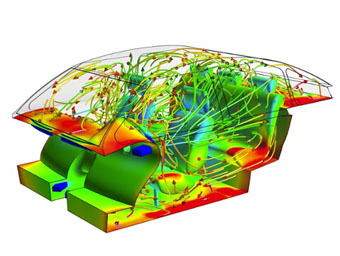 It provides full AcuSolve model set up capabilities, plus fast and efficient CFD meshing. The AcuConsole work flow provides extensive abstract modeling capabilities through the use of templates that record mesh and model settings independent of the CAD model. Design studies are performed quickly and easily by simply importing the modified CAD model. All model specific settings are automatically assigned to the corresponding faces of the new geometry. This capability prevents you from having to constantly perform the same model set up steps over and over again as the CAD model is updated throughout your design process. If CAD clean-up and multi solver support is a necessity for your organization, then HyperMesh fulfills your CFD preprocessing requirements. HyperMesh's reputable geometry clean-up features now come equipped with a full suite of tools for CFD meshing and model set-up. Automated tools can fill holes and gaps between parts and wrapping techniques can create exterior watertight meshes or cavity meshes for the interior. Mesh controls for the entire model and individual features can be defined and saved for use in subsequent models, guaranteeing repeatability of results. When combined with an interface to most major CFD codes, HyperMesh proves to be a formidable player in the CAE marketplace, providing an all in one solution for both CFD and structural modeling needs. If your organization desires a fully automated simulation based design process, then AcuNexus is the right tool for you. AcuNexus is a preprocessor specifically developed for AcuSolve models and is provided through the Altair Partner Alliance. AcuNexus relieves CFD analysts from non-value added tasks and significantly accelerates product innovation through its CAD based abstract modeling methodology. HyperMesh’s morphing technology, HyperMorph, enables you to quickly generate new shape variables to explore designs. The coupling of morphing, HyperStudy and the CFD solver of your choice allows you to run different study types in an automated manner to improve the performance of your design. 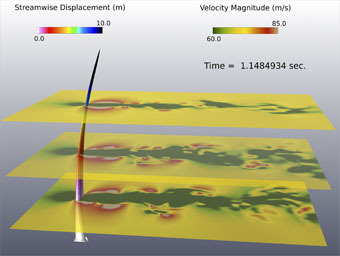 The extensive read/write interfaces for commonly used CFD solvers (e.g. AcuSolve, StarCD, Fluent, CFD++, and SC/Tetra) make the optimization process run smoothly. 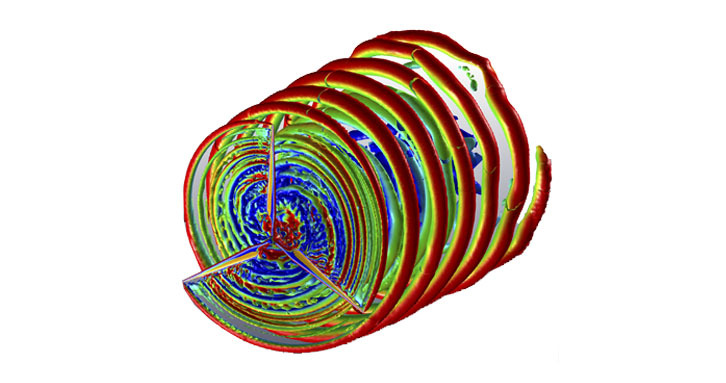 HyperStudy supports shape optimization, Design of Experiments (DOE), and stochastic studies. HyperStudy allows combined fluid-structure optimization by managing both CFD and structural FEA analyses, combining the results to solve your toughest Multi-Disciplinary Optimization (MDO) problems. 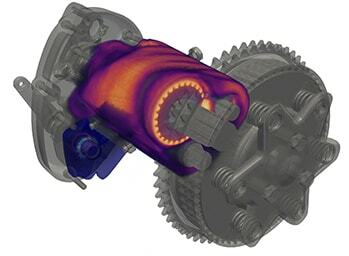 HyperWorks is the premier tool for CFD optimization and MDO problems. AcuFieldView is an OEM version of Intelligent Light's FieldView CFD post-processor, and has the ability to manage large and complex CFD data visualization requirements. It incorporates Intelligent Light’s most recent advancements in FieldView, including a new codebase that produces optimized graphics performance and a single, easy to use graphical user interface (GUI) on all platforms. AcuFieldView provides full CFD post-processing functionality, but only functions with results generated by AcuSolve. If your CFD process involves results from multiple solvers, then post-processing with HyperView is the right solution for you. In addition to having the familiar HyperWorks user experience, HyperView can import result data from all major CFD solvers (AcuSolve, CFD++, FLUENT) via the EnSight format. The data can be visualized interactively or in an automated manner to standardize the reporting process. 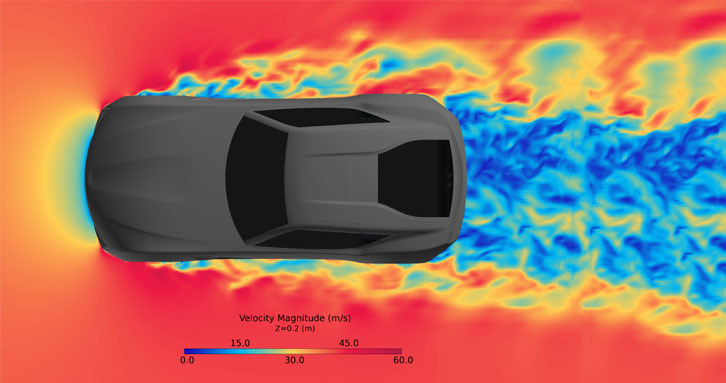 Built upon a rigorous scientific foundation, AcuSolve is a proven asset for companies looking to explore their designs by analyzing fluid flow. AcuSolve provides a full range of analysis capabilities without the drawbacks and difficulties associated with traditional CFD applications. AcuSolve provides you with the tools you need to avoid the CFD pre-processing bottle neck and focus on exploring your CFD simulation results. AcuSolve's powerful solver technology provides you with the most robust solution in the CFD marketplace. AcuSolve's numerical methods yield stable simulations and accurate results regardless of the quality and topology of the mesh elements. 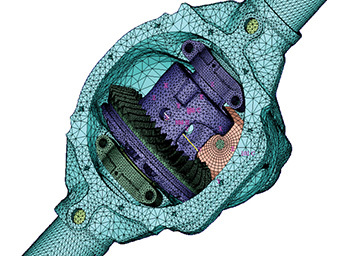 When combined with automated unstructured meshing, no CFD software gets you to the end goal sooner! Analyzing results and exploring the physics of your application, AcuSolve achieves all of this without the need to perform countless runs to explore different solution procedures. AcuSolve's single solver architecture and constantly evolving feature set provides a valuable tool to any company tasked with performing CFD analysis. No solver tuning required: Build your mesh and run it! AVL FIRE™ M simultaneously solves non-reacting, single phase fluid flows, heat transfer and solid temperatures in systems without moving boundaries. AVL FIRE™ M offers faster model setup, execution and post-processing resulting in its ability to investigate large numbers of design variants more efficiently and with superior outcome. 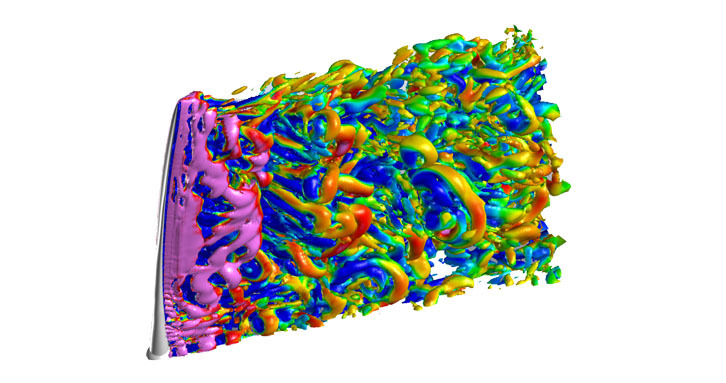 For combustion and chemical kinetics, LOGEsoft from LOGE AB performs combustion and chemical kinetics simulations for all reactive systems with a unique solver for complex chemical systems. LOGEsoft is capable of predicting emission levels of soot, NOx, CO and unburned hydrocarbons. LOGEengine is an engine optimization tool for evaluation and validation of experimental data through heat release analysis and mixing time optimization, yielding fast and accurate emissions out and detailed combustion development information. 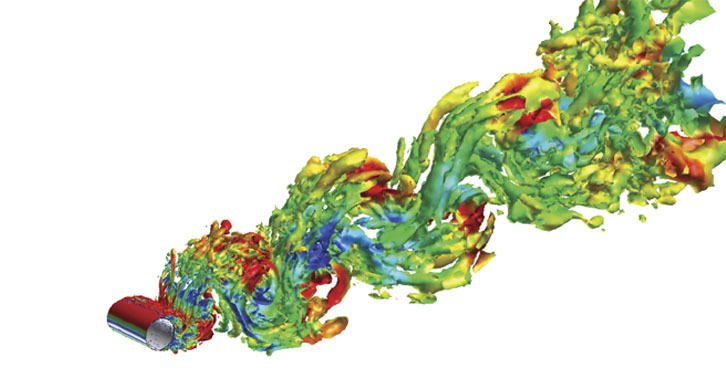 nanoFluidX from FluiDyna is a particle-based fluid dynamics simulation tool to predict the flow in complex geometries with complex motion. It can be used to predict e.g. the oiling in powertrain systems with rotating shafts/gears and analyze forces and torques on individual components of the system or predict the sloshing in tanks with transient motions. 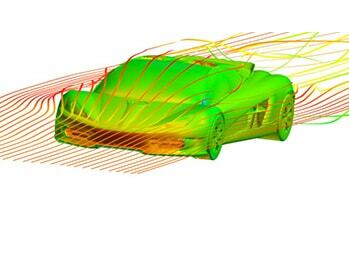 It utilizes GPU technology to empower high performance simulations of real geometries. SC/Tetra from Software Cradle is a general-purpose CFD software utilizing pressure based and density based Finite Volume Method and unstructured mesh. scSTREAM utilizes structured mesh (Cartesian or cylindrical coordinates) while Cutcell and tetra elements can be also utilized. 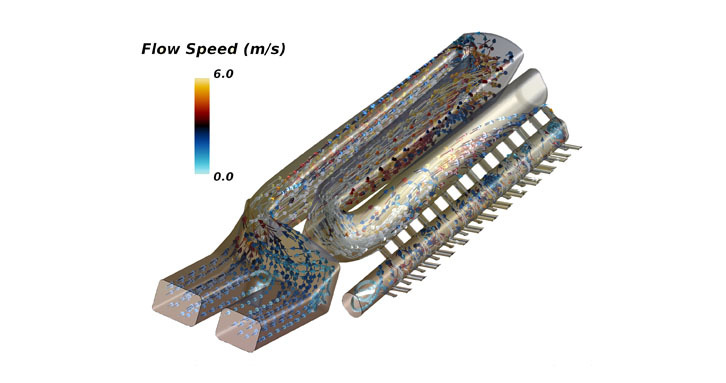 Due to the nature of mesh structure, scSTREAM has outstanding meshing speed and computation speed. Comprehensive CAE analysis of both steady state and transient heat transfer conditions can be performed by TAITherm from ThermoAnalytics. This heat transfer software offers complete temperature distribution and heat rates for radiation, conduction and convection.